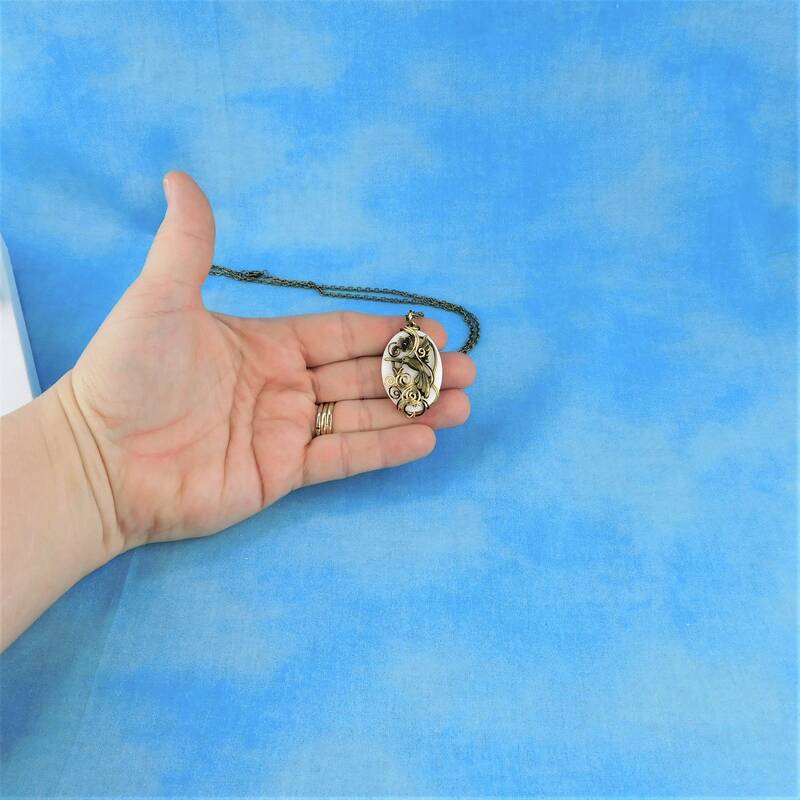 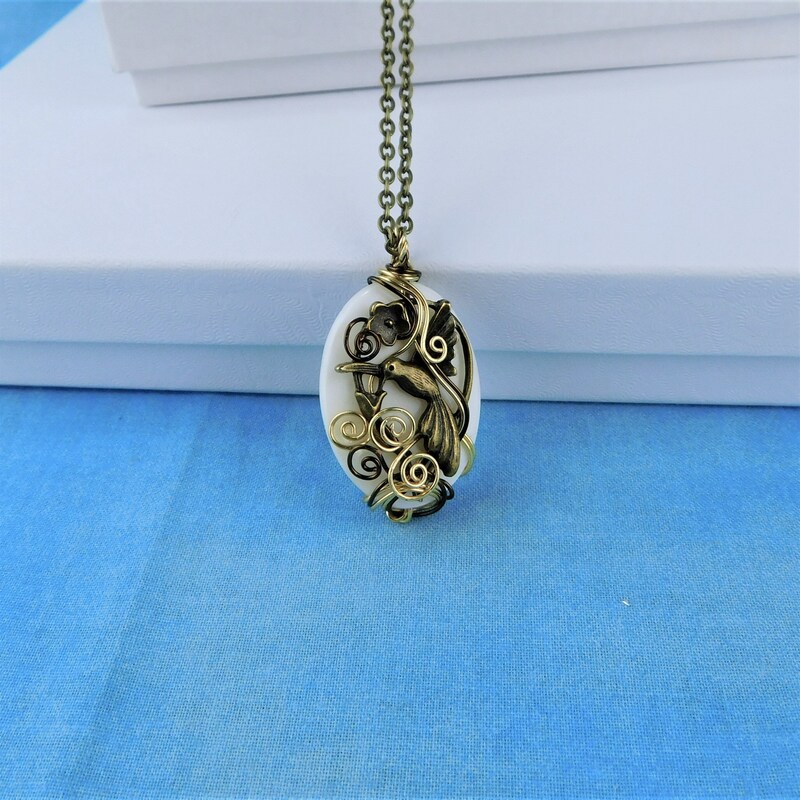 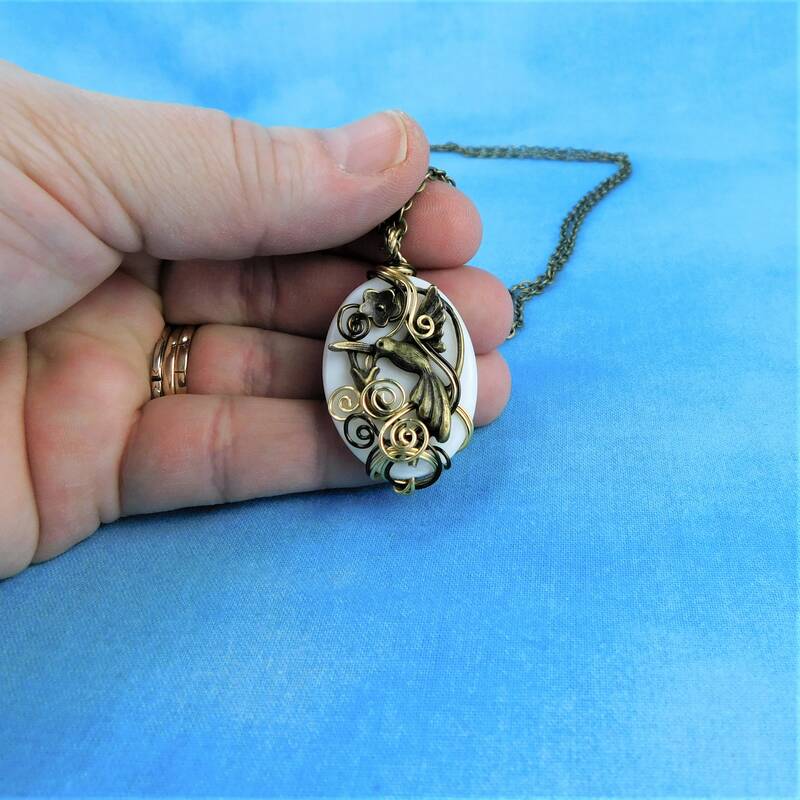 A 1 1/2 inch by 1 inch oval white mother of pearl shell is artistically wire wrapped with three shades of non tarnish copper wire. 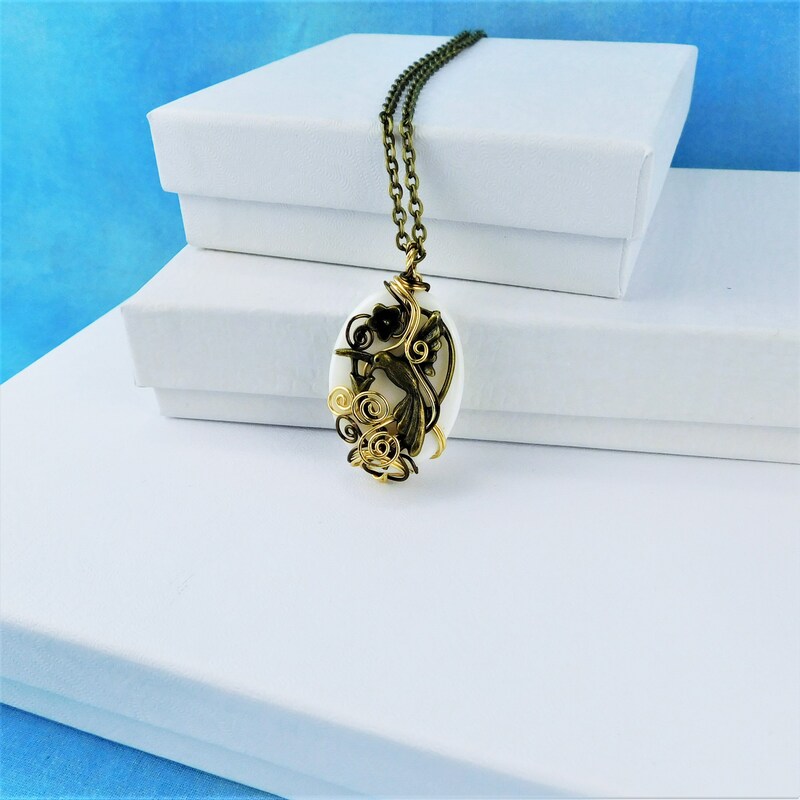 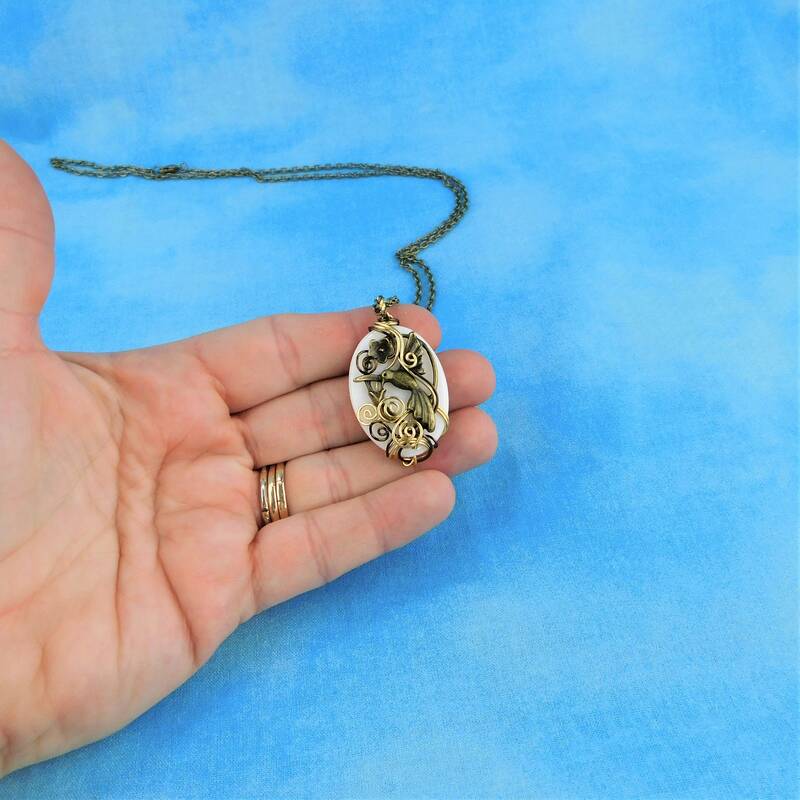 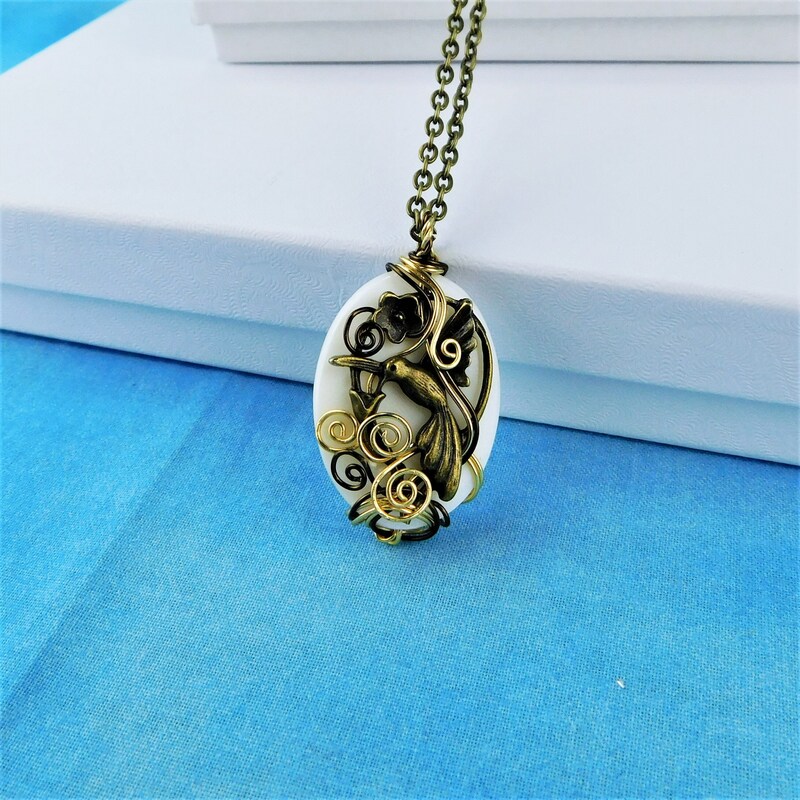 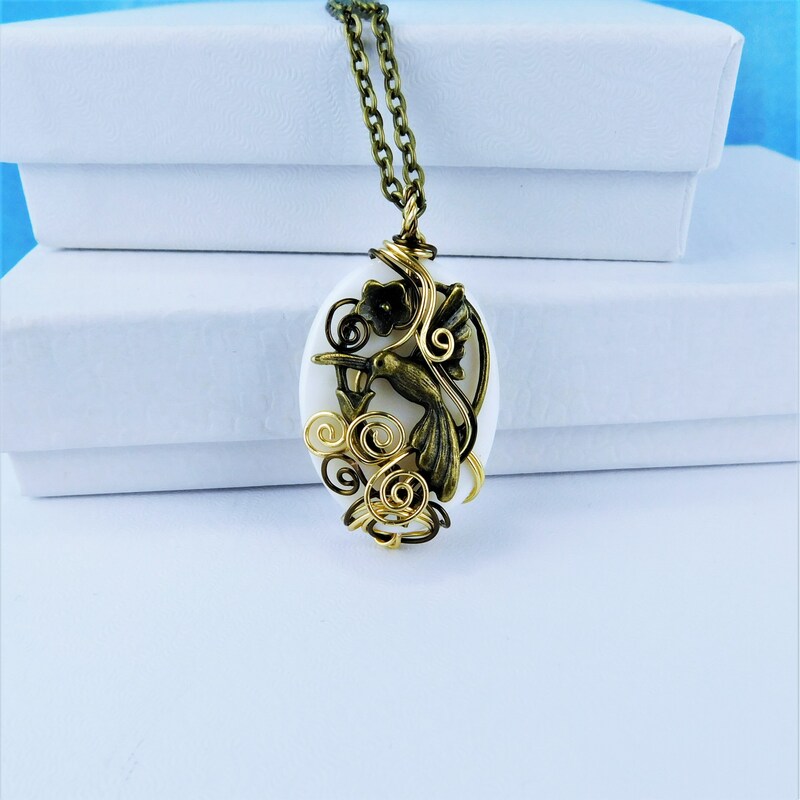 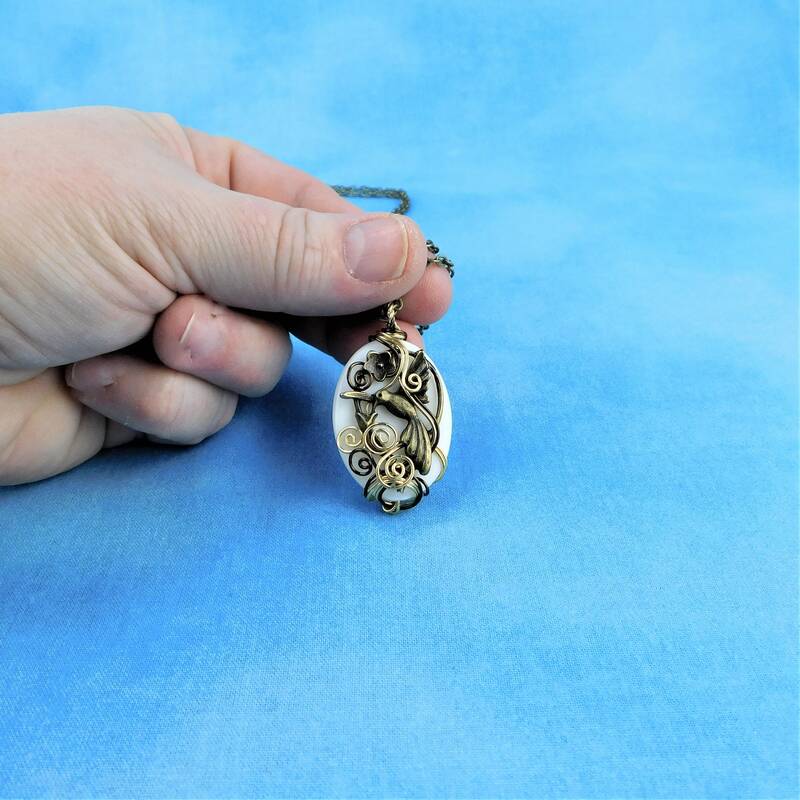 It is adorned with a vintage bronze colored metal hummingbird hovering above a flower. 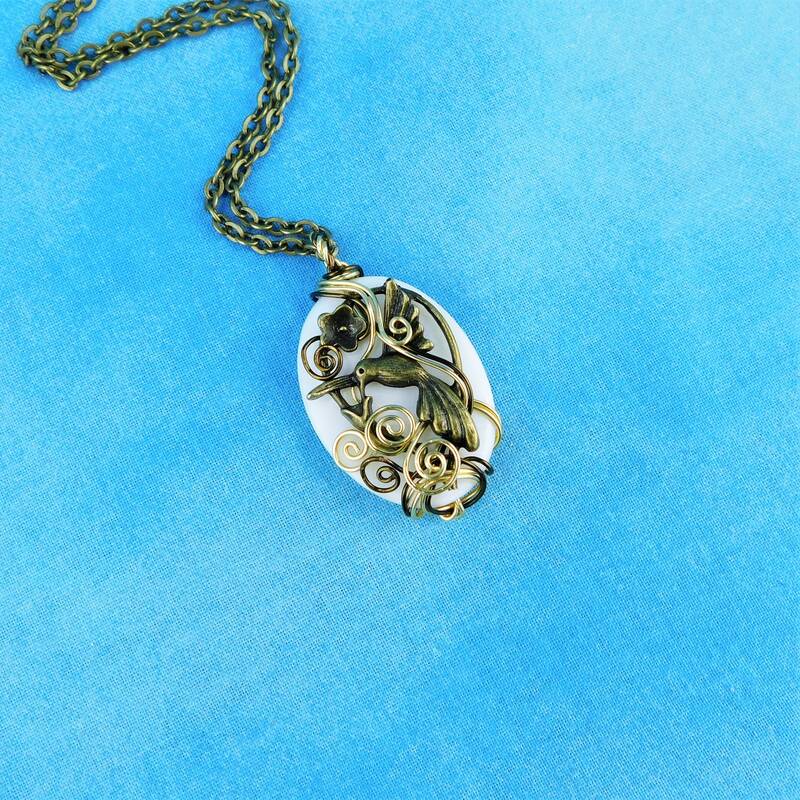 This is an artisan crafted design that would compliment many styles and colors. 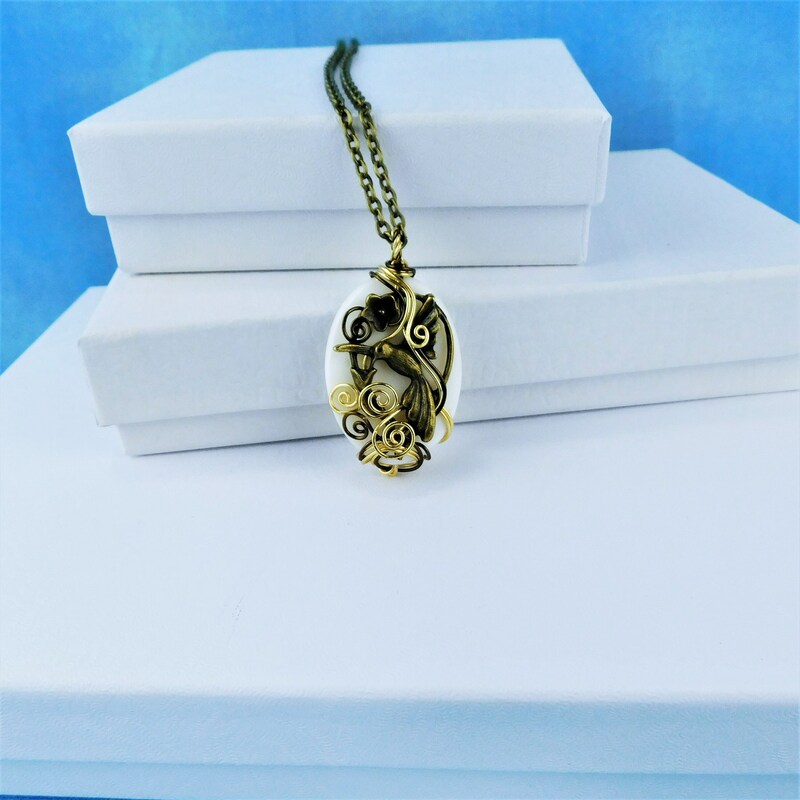 The Pendant comes with a FREE coordinating metal chain with lobster claw clasp, measured to your preferred length.